The Tarkine is one of Australia's greatest yet least well known wild places. Home to some of the world's oldest rainforest, huge sand dunes and rugged coastlines shaped by the unforgiving Southern Ocean, the Tarkine is also a safe haven for over 60 species of rare and endangered species including the Tasmanian Devil and Giant Freshwater Crayfish. This remote and windswept part of Tasmania is often overlooked by travellers in favour of more famous landmarks such as Cradle Mountain, but in recent years the Tarkine has been gaining more attention as the campaign to protect this vast wilderness gathers momentum. The Pieman River is one of the largest rivers on Tasmania's west coast and marks the southern end of the Tarkine. Kayaking is the best way to experience this stunningly beautiful river and its tributaries, and we were blessed with a perfectly still morning - it was so quiet that we could actually hear the sound of the ocean 18km downstream! It is hard to believe this stretch of river was almost dammed in the 1980's - while there was much publicity surrounding the Franklin river to the south, the Pieman was largely forgotten. It was only due to the unstable geology of the area surrounding the proposed dam that the Pieman remains one of the most intact large rivers in Tasmania. While drifting down the river, it was nice to reflect and find solace that places like this still exist despite the ongoing threats posed to unprotected landscapes such as the Tarkine. Mount Donaldson is a prominent peak in the southern Tarkine offering sublime views of the surrounding wilderness. This is a relatively easy 8.6km, 3-4 hour walk that climbs from the Savage River, only 10 minutes from Corinna. 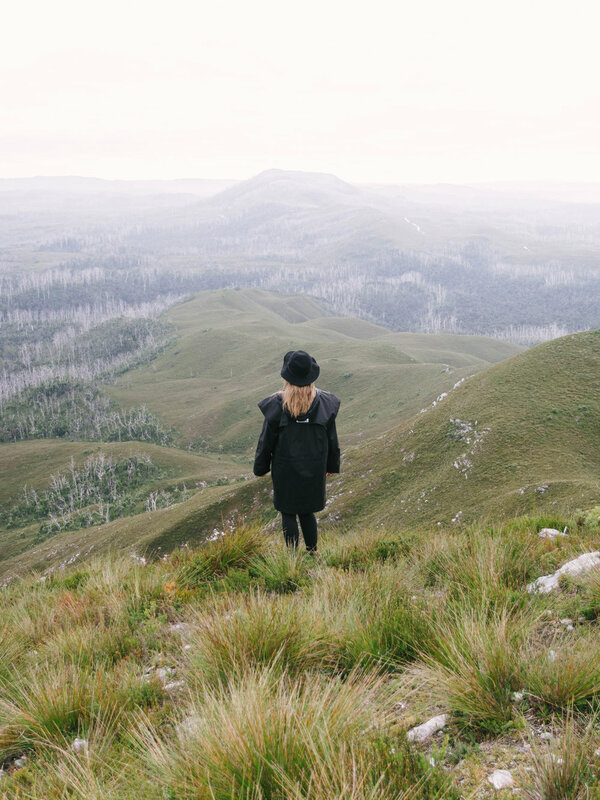 The summit is 408m above sea level and offers sweeping views of the expansive Tarkine wilderness from the coast in the west to the beautiful Pieman River in the south. The Whyte River is located close to Corinna and can be reached easily via a one-hour loop walk from the village. This beautiful path tracks through lush rainforest along the banks of the Pieman and Whyte rivers and offers a feeling of remoteness unlike most other short walks. If you are lucky you might even see a Platypus along the shoreline. The Tarkine is home to some extraordinary forests, including the world's second-largest temperate rainforest and the largest in-tact rainforest remaining in Australia. This rare and unique landscape is the perfect place to wander and cleanse the mind while breathing the world's freshest air. It feels so removed from city life and world events and visiting these forests was a memorable experience. There are a number of walks located throughout the region and the Tarkine Trails guide book is a great resource if you are visiting. 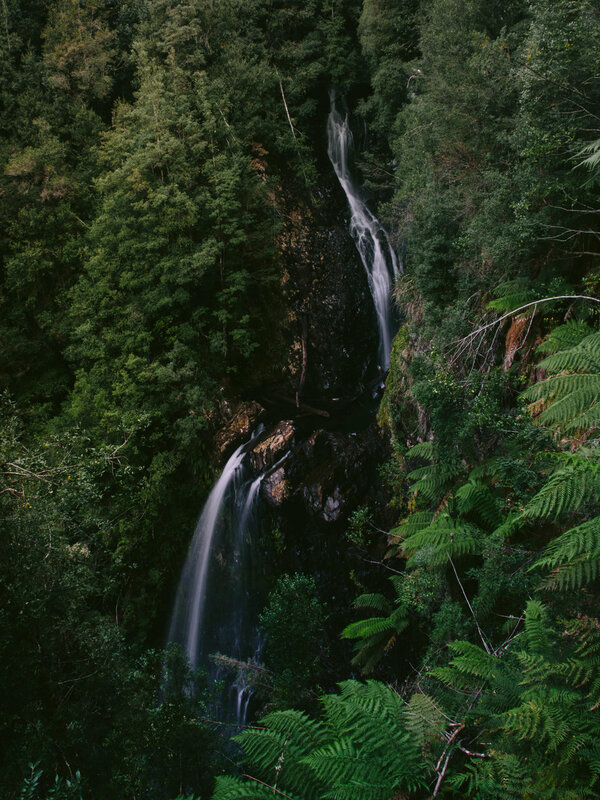 The Philosopher Falls are a spectacular set of cascades located close to the town of Waratah. They are easily accessible via a magnificent 90 minute walk along a historic water race. There are hundreds of little known waterfalls dotted around the Tarkine - some are well off the beaten track and can only be accessed by Kayak or multi-day hike, but many including the Philosopher Falls can easily be visited as part of a self-drive tour through the region. Other larger and easily accessible waterfalls in the region include the Dip Falls and Wes Beckett Falls. The Tarkine is a relatively remote part of Tasmania bounded by the West Coast, Pieman River in the south, Murchison Highway in the east, and Arthur River in the north. Corinna is located on the banks of the Pieman River at the southern end of the Tarkine, and is a 4 hour drive from Launceston or 5.5 hours from Hobart. Arthur River is located on the coast at the northern edge of the Tarkine and is 4 hours from Launceston. There are also a number of wonderful walking companies and tourism operators who provide small group tour options to experience this wild and untouched landscape. Unlike many other parts of the Tasmanian wilderness, the Tarkine is largerly unprotected despite being recognised as an area eligible for world heritage status. Less than 5% of the area is currently protected in National Parks, and as a result much of this vast wilderness remains threatened. You can read more about the campaign to protect the Tarkine here.